The most special feeling called love! It is something that takes you on a cloud nine, a passion that infuses sweetness in every day and each moment. Expressing your love for your special someone doesn’t need an occasion or a special event but celebrating its beauty surely required a special day called valentines day. 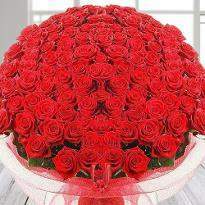 Valentine's day flowers must be a symbol of love, calmness, passion and faith in the relationship. 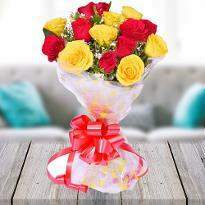 Winni understands your emotion and makes it an endeavor to craft the timeless gifts wrapped in beautiful floral bunches. 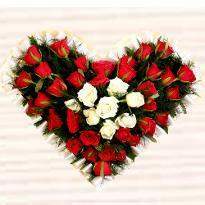 You can without any doubt order and send Valentine's day flowers online in Bhubaneswar to convey your immortal love to your special one. 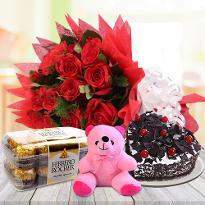 Are you thinking about sending a special gift to your special one? Does your special one stay in Bhubaneshwar? 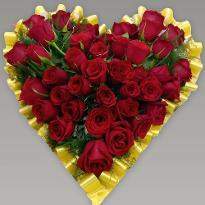 Valentine's Day flowers to Bhubaneshwar can be sent through us. 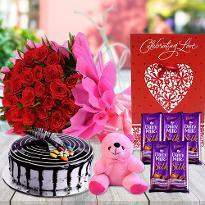 Want to please special one to your heart? 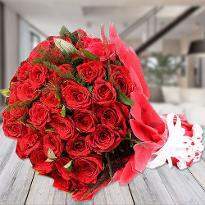 Make this Valentine’s Day a memorable one and send Valentine's Day flowers to Bhubaneswar. 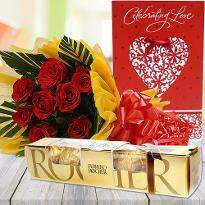 Delight your lover with a gift with a beautiful collection of flowers. 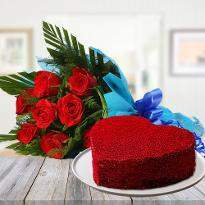 Valentine’s Day is a special day for couples to express their passionate love towards one another. Celebrate the occasion with our collections of flowers of various varieties. 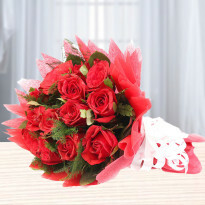 Give a surprise to your spouse by sending Valentine’s Day flowers to Bhubaneswar. 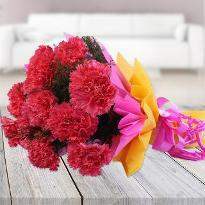 Express your love and affection to your lover by sending a beautiful set of eye-catching flowers. 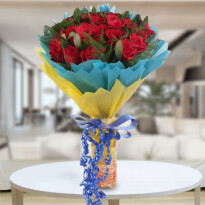 Send a bouquet to your special one from our online store. 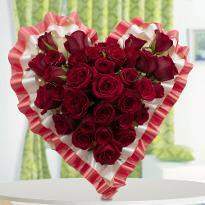 Our store has a beautiful and vibrant collection of Valentine flowers that cannot be described in words. One can get the experience of it by sending them. Visit our website for a feeling which is not easy to erase. 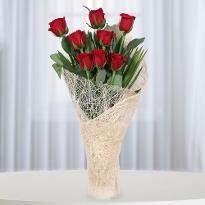 Send this Valentine’s Day flowers to Bhubaneswar to your special one to get the same feeling. The charming flowers make every day a special one. 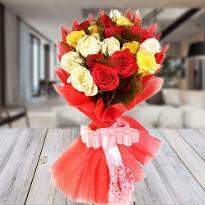 Script a love story with the flowers and enjoy the lovely moments. 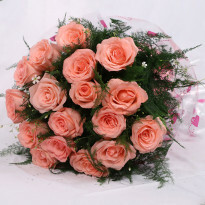 Wants to send flowers to Bhubaneswar on the same day to your special one? Your queries are answered here. Visit our website for an extensive collection of flowers. 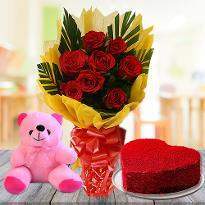 We are happy to help you in this and endeavor to send Valentine’s flowers to Bhubaneswar without any hassle. Flowers always bring joy to everyone and have the power to uplift your mood. 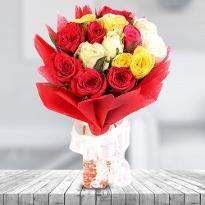 This Valentine’s Day choose from a collection of colorful flowers and bring cheer to your special one. 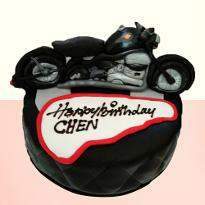 This is the occasion you are waiting for, and your effort in this regard pays off. Flowers are seen as a messiah of love, and these sets of flowers depict true love. Life is amazing, but the presence of flowers can make it happier. Similarly, fresh flowers can make any occasion more special by their presence. 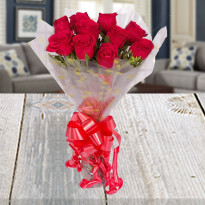 So, on Valentine’s day, send fragrant flowers to your special one with online flower delivery in Bhubaneswar that will bring a big smile on their face. 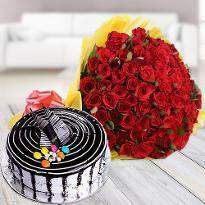 As a leading florist in India, our services and features lets you choose the best of Valentine’s day flowers for him or her. 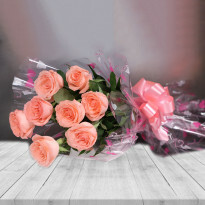 While you make your choice between lovely lilies, mixed roses, carnations, our online Valentine flower delivery in Bhubaneswar tries to make the moments special for you. 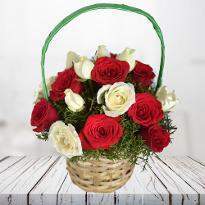 So, wait no more, fill your cart with your favorite beautiful blooms and mesmerize your special one . Life is always better with surprises and flowers are the perfect gift that can act as a surprise element. They spring up our mood, our day, and excite our senses. 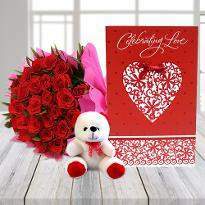 We offer an extensive collection of Valentine's gift for him/her, and while you begin worrying about its elegant packaging and timely delivery, Winni wishes to put a stop to these raging thoughts as we aim to put up with your demands and send flawless surprises as per your accordance.